With wedding season on the horizon, we are getting very excited about engagement ring and wedding band pairings that express our clients unique and individual styles. Every year, we have the pleasure of helping many of our bride-to-be’s choose the perfect compliment and the perfect keepsake to cherish forever. This beautiful pairing at left is a perfect example of pretty pairings at its finest. 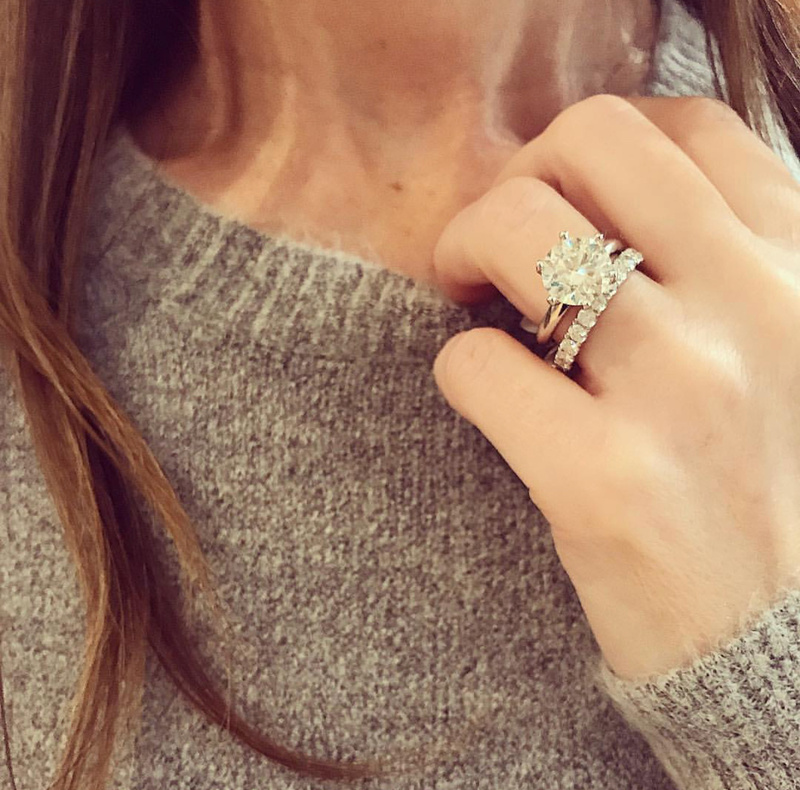 The diamond leaf band was one of our favourite finds at last years JCK Las Vegas Jewellery Show and it continues to be amongst our clients favourites too. 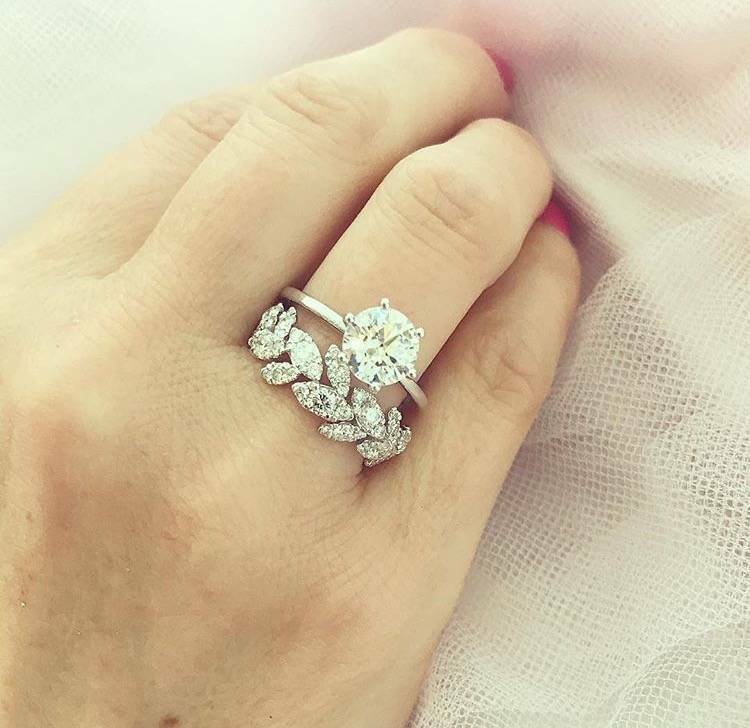 It is easy to see why with its delicate and feminine details, its brilliant round cut diamonds and its almost invisible, micro pave settings. 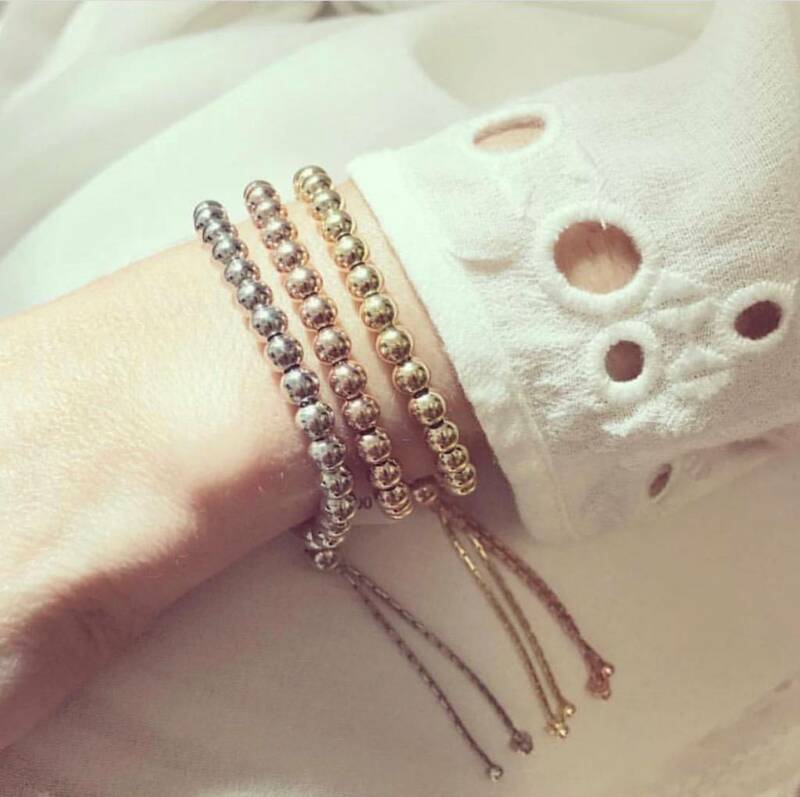 Available in white gold, yellow gold and rose gold too, there is a colour for everyone. 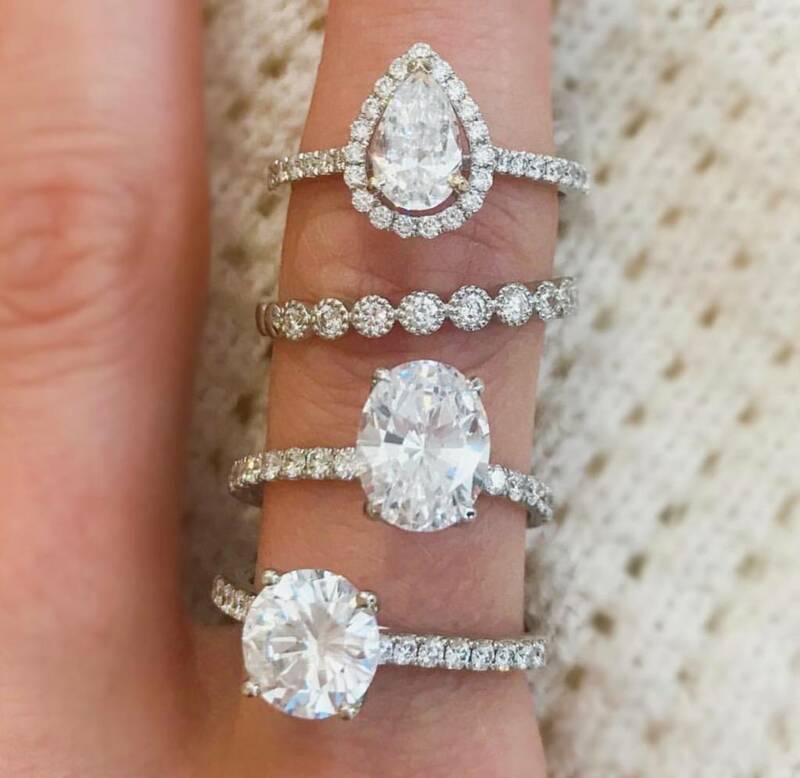 We have chosen to show the diamond leaf band with our simple and timeless, five claw solitaire, but it really compliments a large array of designs. And for those occasions, where you want to keep it simple, this band on its own is equally as incredible. With this beautiful band and many others to choose from, pop by and see what other pretty pairings are in store!